Tha'd be me too,definite lull after the first bite.Wallys don't fight well so the challenge of going after "the big ones" doesn't much appeal to me,it's more about putting meat on the table and 3-6lbers are ideal for eating. I use jig hooks w/ brass eyes and I end up w/ a fair portion of hookups in the roof of the mouth/just back of the teeth but an equal # in the scissors. A buddy I fish w/ switched all his trebles out for singles on all his plugs and they rarely seem to shake loose. One of my favorite walleye plastics for low light and dark is a walleye assassin twister tail in a pearl with a purple overcast color. I have forgotten the name of the finish, but it was something like midnight special. It also works great for spec trout and schoolie stripers at night. I used it in the rivers and a Canadian lake this year and it still works great. I may have to try single hooks and see how well they work out on the Rapalas. In many cases I swap the stock hooks for Mustad triple grip hooks which seem to stay put better then standard trebles. I like those streamers, do you tie them youself? 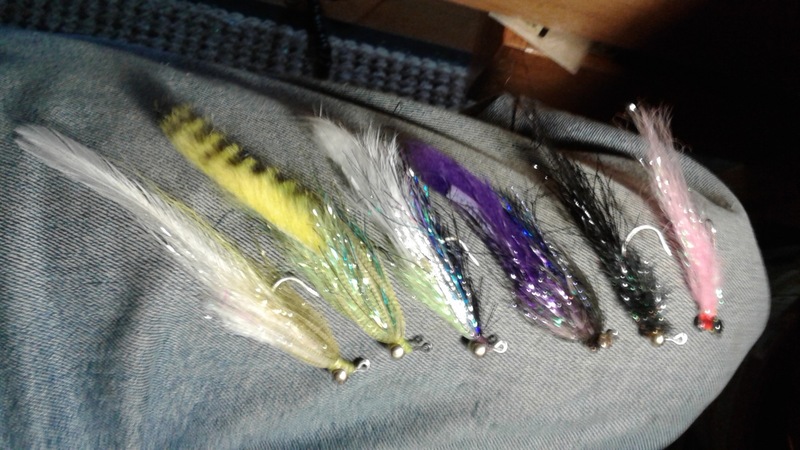 Eventually I want to try to get into tying my own jigs rather then just using soft plastics. I have seen where hair can draw more strikes then plastic do to the motion it has underwater. On 6lb to 8lb test, big walleye definitly give an account for themselves, but you are right they are not the strongest fighters. 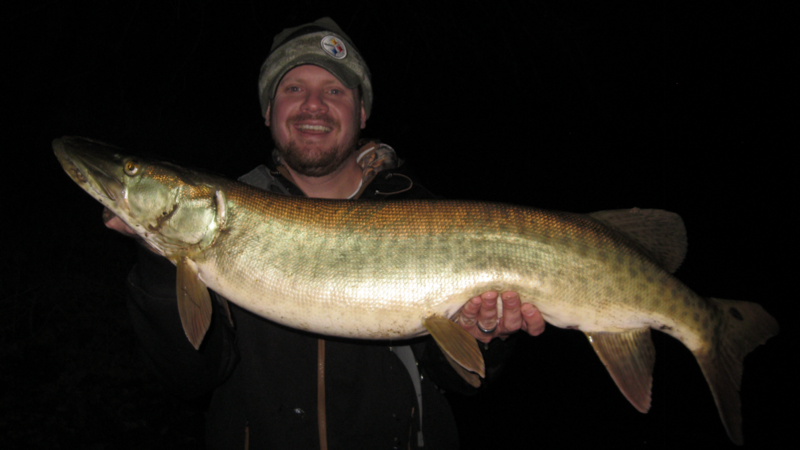 The same can also be said of musky though, they are just as weak as walleye pound for pound, but the fight isn't why I fish for them, it is the allure of catching one just them same as it is for catching big walleye. Regarding what is worth fishing for due to fighting power, if I want hard fighting fish I target flatheads, channels, carp, wipers, and buffalo. I've been fishing for them some. Daiwa Tatula 3000, RainShadow IP963 that I built, 10lb Sunline SX, and generally 4 inch Swing Impacts on 1/8th to 1/4 jig heads or size 8 or 10 XRaps. It was pretty good up until the water dropped into the mid 30s, than it slowed. Last week I watch a guy catch some very nice ones on minnows while I got skunked fishing lures. Yep,tie all my own,3/8" wide rabbit strip w/ flashabou is magic,kinda like porkrind but more action,takes scent well if you're into it.Those are also killer for SMB. I tend to fish heavier line for them as I'm bouncing bottom and I wanna have more of a chance getting my flies back,usually 15lb flouro. 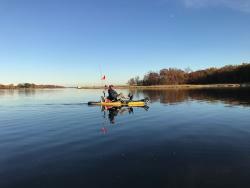 What kind of scent do you find most effective, have been considering getting some scents for when walleye are sluggish. A dead shad from along the river bank is as close as I get,buddy uses a commercial scent,Lunker something or other,not on the tip of my tongue,not sure it matters as long as it has a scent but maybe it does,little experience w/ scents. Flies,esp big rabbit strips, seem to bio-accumulate scents and the more used it is the better it seems to work.They get to a point where you don't have to bring it all the way to your nose to smell it.Not a bad smell,just fishy/rivery. Always interesting to see what's in their stomach too.Amazing how many shad fit in the stomach of a 24" wally and they still bite the fly.One had 2 6" shad,6 3-4" shad and a dozen+ half digested minnows,looked pregnant but I knew it couldn't be this time of year,just stuffed! Is that the curly tail shad? It is Beastly and it has a very thin tail that ripples with the slightest movement even in very cold water. I looked it up and it is a curly tail shad and the color is called "Opening Night". They also make a paddle tail version, but IMO it is not as effective. Very nice assortment of jiggy flies there! There's a Keitech Mad Wag Mini coming down the pipeline that should work very well in cold water temps. I've played around with the larger sizes and it's sort of a grub/worm/paddletail rolled into one. Love cold water walleye fishing in our local rivers... one of my favorite things is the bi-catch can get interesting at times! This toothy rascal surprised me the other night... Dad and I hit a local spot under what seemed like perfect conditions. Not a bump for what seemed like forever, until the water erupted and this dragon ate my rapala, lol. That is good to hear, I will have to get a bag and try it out. 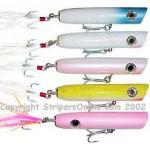 The other option was to start looking into custom soft plastics as they are much softer.